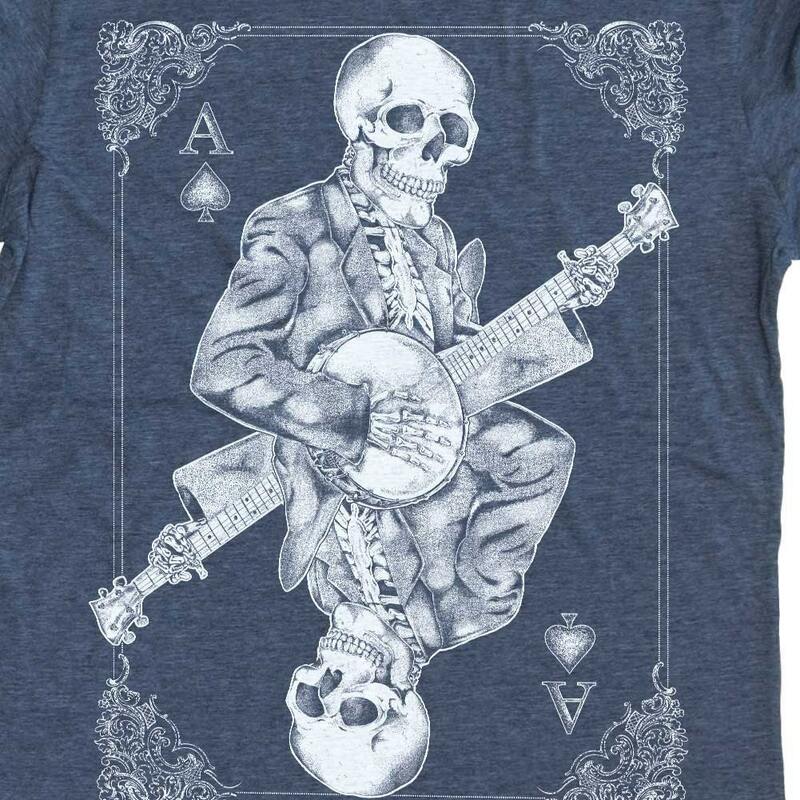 Banjo player design screen printed on a top quality men's shirt. 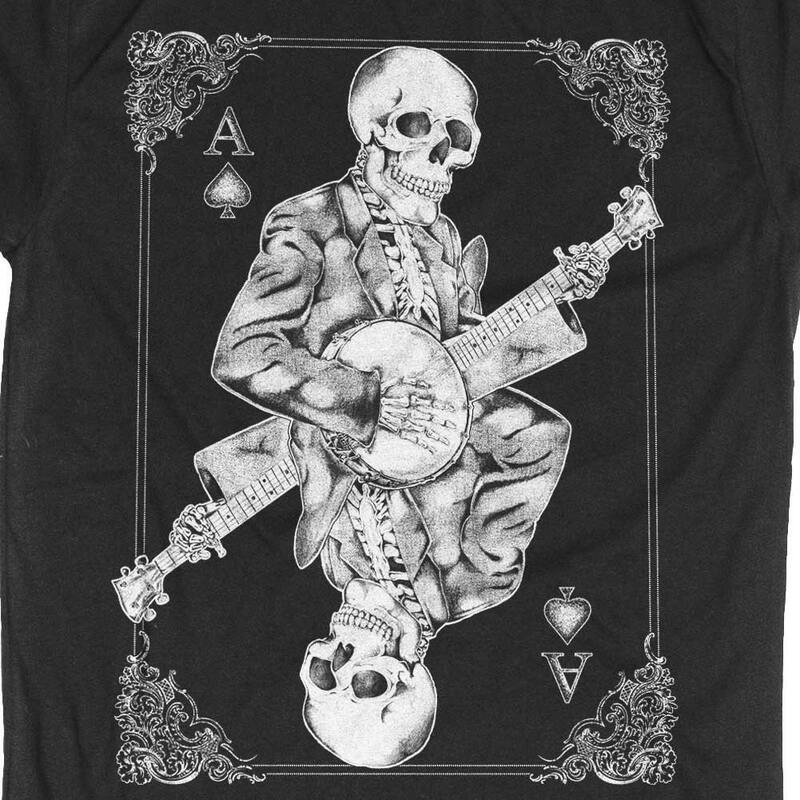 Hand Screen Printed Men's Banjo T-Shirt. 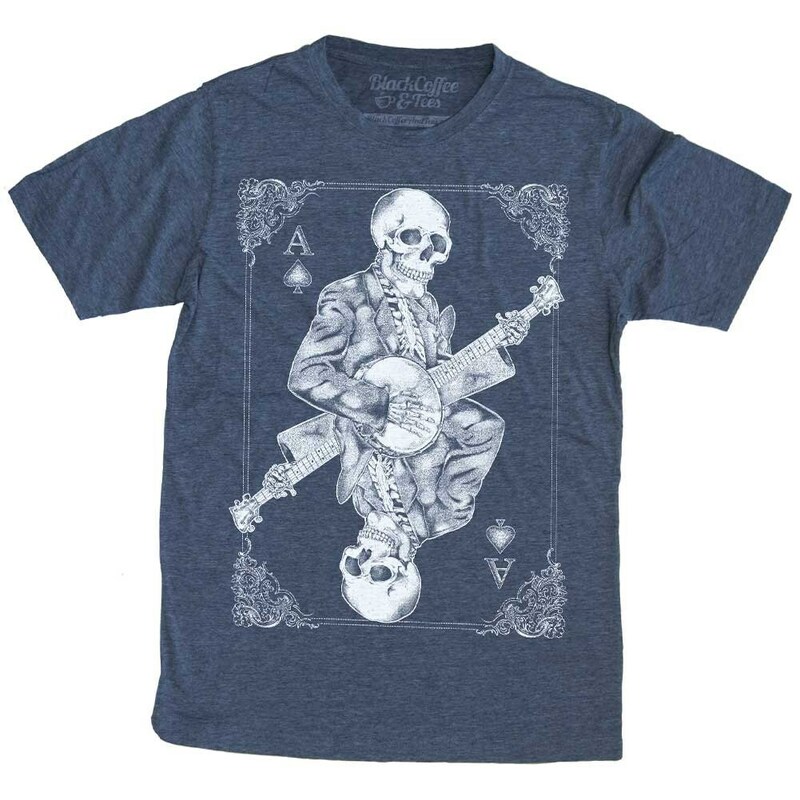 This is a screen printed design stipple drawing (tap tap tap) of a skull playing banjo. 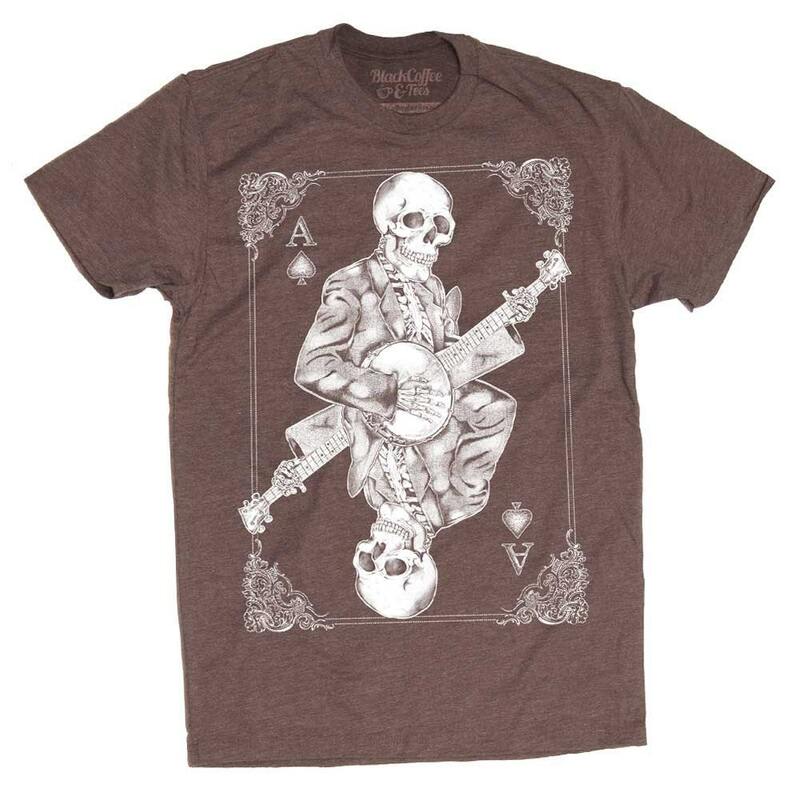 Jam out with the Dead! Quickly becoming my favorite shirt. Will buy from this vendor again. Thank you! 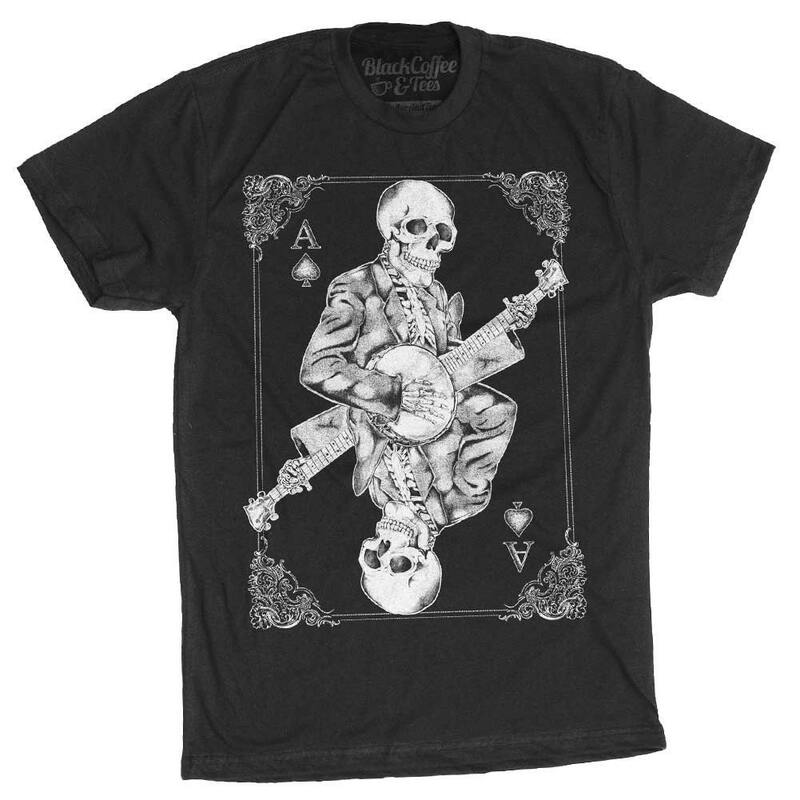 Great t-shirt, fast delivery & my son loved it. Thanks!